Technology is proving to be a driving element in the business. While many people are showing concern towards the replacement of human via robots and smart devices, the technology is actually helping the Enterprises to tweak their existing business paradigm and deliver a better experience to the employees. The foremost technology that is adding value to the Enterprise world is Artificial Intelligence. The technology, with the potential to imitate the human brain behaviour, is cutting down the efforts required for performing repetitive jobs. The AI-enabled robots and machines are taking over the repetitive monotonous tasks – making employees free to hand more productive work and earn a hefty amount of profits. Besides, AI is also making it easier to understand the learning and work pattern of employees to provide them with a personalized process and enhance their performance level. It is also delivering real-time assistance in the form of Chatbots – because of which queries of multiple employees are being handled at the same time and they are provided with the right assistance – rather than following the traditional process of inviting individuals to discuss their issues and look forward to getting an optimal solution. Since data is the base of every business and process, Big Data is also emerging out as a disruptive technology in the Enterprise business vertical. It is helping in gathering and managing a heap of consumer and business data easily, quickly and effectively, so that enterprises could directly jump to the Analyze part and determine what to do next to gain higher momentum in the market. Be it a conference meeting between employees sitting in different corners of the world or a relaxing tour to beaches and mountains while sitting on the office desk, AR/VR technology is introducing different methods of doing business beyond the premises of office building and encouraging higher employee productivity. Blockchain, the technology behind Cryptocurrency, is also embarking a new chapter in the history of Enterprises. With its characteristics of immutability, transparency and decentralization, it is giving everyone an escape from the tier-level system and making important data and business information accessible to all – which implies no one need to look towards their seniors to get access to some data. And, at the same time, it is ensuring that no action could be taken on the data without acknowledgement of stakeholders involved. In this way, the technology is ensuring better data accessibility and usage but with no fear of data breach. Also, this technology is breaking the currency barrier across the nations by introducing cryptocurrency exchange that is the same everywhere and by eliminating the intermediaries – eventually resulting in secure and faster payment. Mobile technology is another technology that has continued to make a difference in the Enterprise world. These Enterprise mobility solutions, by residing on the screens of their devices, are empowering target audience to connect in real-time, transfer data and other necessary details, make payments and perform other such activities that ultimately upgrade the Enterprise presence. By connecting all the devices and humans together, IoT (Internet of Things) is also simplifying the Enterprise processes. It is not only making information accessibility easier and quicker but also helping in better utilizing the resources available. For example, a single printer can be connected and used on different devices as per their need to get a printout. It is no more required to place an individual printer on every desk. 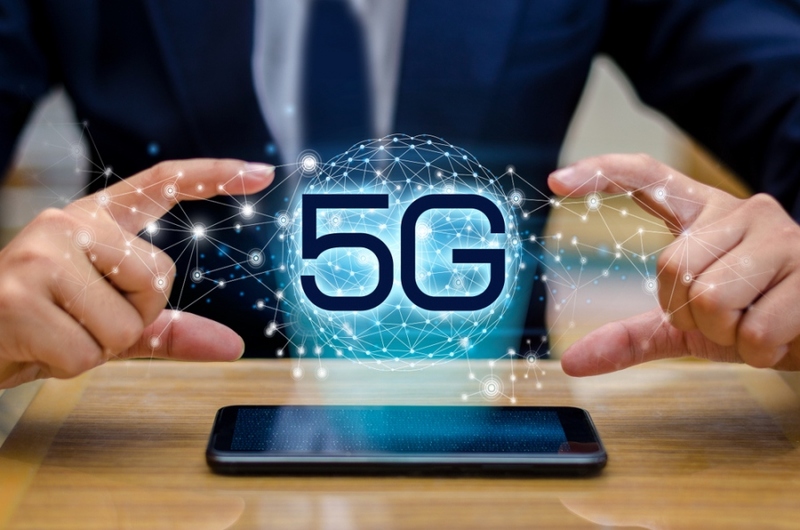 The upcoming network technology 5G will also transform the Enterprise world. The technology increases the speed of data sharing and lowers down the latency rate – making every document and information accessible to the users in a fraction of time. Last but not least, Edge computing will also revolutionize the Enterprise ecosystem. The technology, with the concept of making information available at the edges of the network rather than at a centralized database, will accelerate the data gathering and transmission process. Besides, it will eliminate the risk of cyber attacks to some extent by not introducing any centralized unit from where data can be accessed easily. Technological innovations are becoming a crucial part of every business vertical, including Enterprise. They are bringing the next level experience in working at an Enterprise – an outcome of which is that many startups and established enterprises are excited to invest in Enterprise mobile app development. In such a scenario, if you are still wondering whether your Enterprise needs to embrace these technologies on not, consult with our business consultants today.